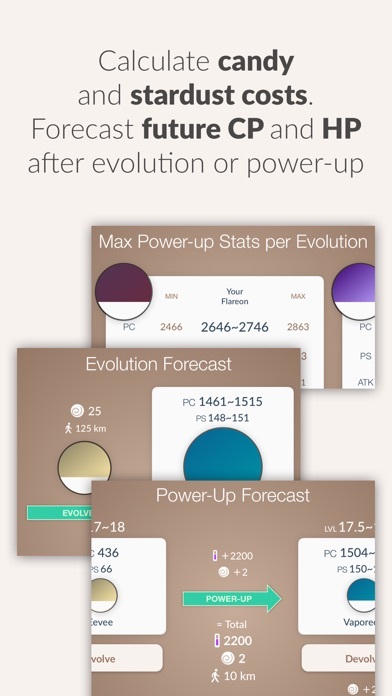 PokéRater automatically rates your Pokémon so you know which ones to keep and power-up. 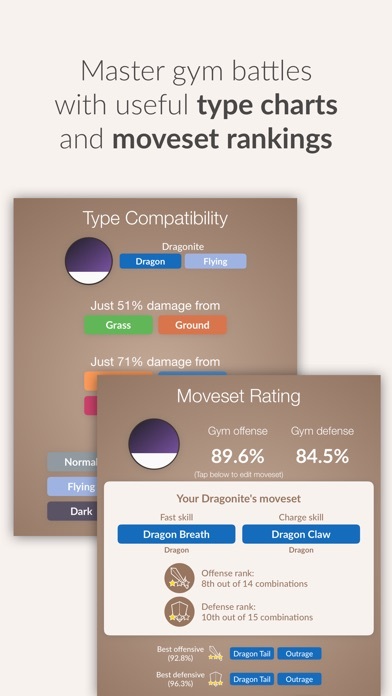 - Scans movesets and rates your Pokémon's gym offensive and defensive ranking! - It doesn't matter if you change your Pokémon's nickname! 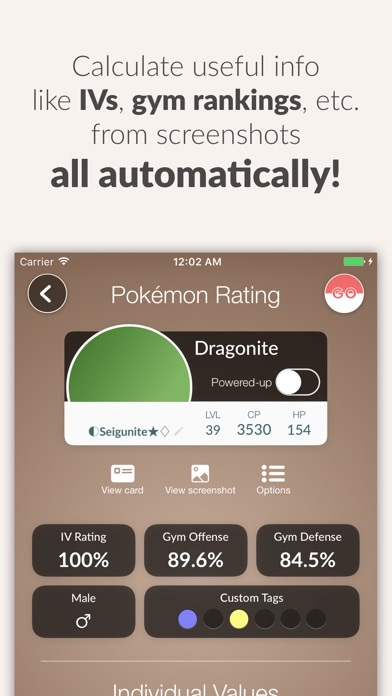 - Shows your Pokémon's CP after evolving! - Auto-scan mode available for free! 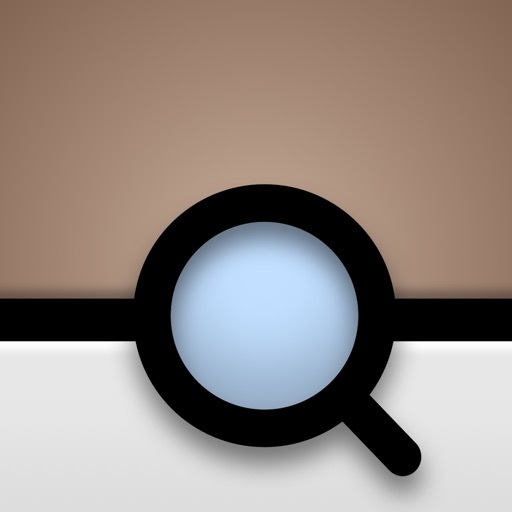 PokéRater is in no way sponsored, endorsed or administered by, or associated with, Niantic and Nintendo. Sorry for the long wait! This update finally fixes crashes on Mew and Moltres quest scans. Enjoy these new features as well! 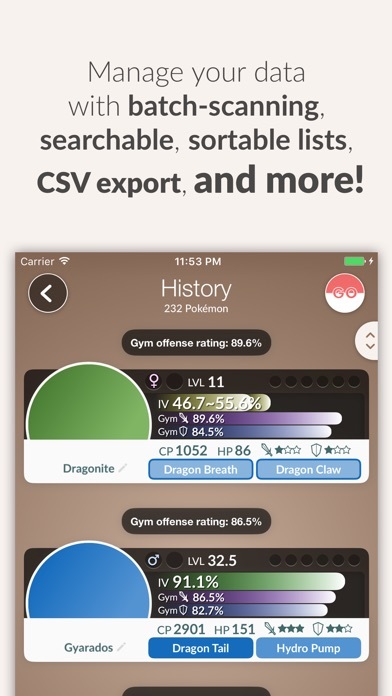 - Last but not the least, all gym rankings are now replaced with more reliable rankings from... Pokebattler! 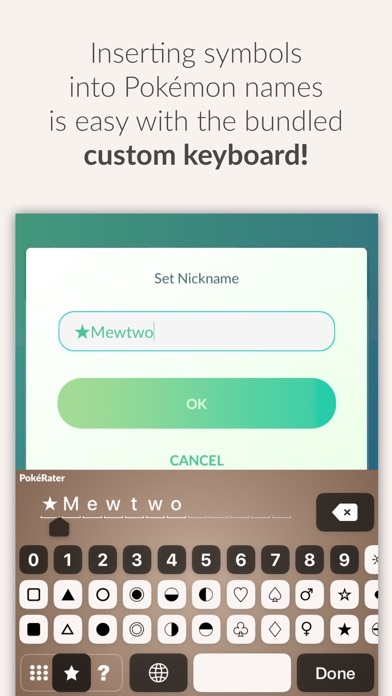 Stay tuned for more integrations with Pokebattler in the coming updates!